Planned Parenthood, whose top doctor was caught on video discussing the sale of body parts from aborted babies, has received more than $27 million from taxpayers this year. Federal funding has been distributed to Planned Parenthood branches across the country, totaling $8,194,298 in prime awards and $19,640,752 in sub-awards in fiscal year 2015, according to the government’s records for federal grants. An undercover video captured by the non-profit organization Center for Medical Progress appears to show Dr. Deborah Nucatola, the senior director of medical services at Planned Parenthood Federation of America, talking about selling body parts of babies after they are aborted, as she eats lunch. "We’ve been very good at getting heart, lung, liver, because we know that, so I’m not gonna crush that part, I’m gonna basically crush below, I’m gonna crush above, and I’m gonna see if I can get it all intact," Nucatola says, according to the video published by the pro-life group Live Action on Tuesday. "I’d say a lot of people want liver," she says. "And for that reason, most providers will do this case under ultrasound guidance, so they’ll know where they’re putting their forceps." Live Action President Lila Rose called for Congress to immediately defund Planned Parenthood in response to the video. Planned Parenthood has received $189,162,664 in prime and sub-awards from the federal government since 2012. The organization, which bills itself as a "trusted health care provider," has raked in $27,835,050 so far this fiscal year. The vast majority of FY 2015 funding comes from the Department of Human Services (HHS). Four grants came from the Department of Justice totaling $609,684 for "victim assistance," and seven grants from the U.S. Department of Agriculture (USDA) totaling $2,118,651 for the Special Supplemental Nutrition Program for Women, Infants, and Children (WIC). Many grants from HHS go toward "family planning services," including $3,141,000 to Planned Parenthood Association of Chicago, and $3,468,000 to Planned Parenthood of Wisconsin. Planned Parenthood of Northern New England received two grants totaling $1,072,731 for family planning. Planned Parenthood of Greater Ohio received $1,300,000 for "family planning, health resources, and services administration." 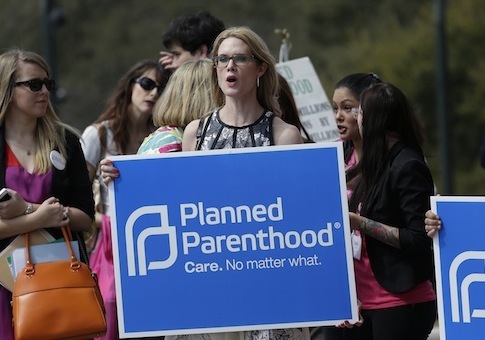 Planned Parenthood Mar Monte, Inc., was given $1,679,680 for the "provision of family planning and related preventive health services to eligible clients in the State of California on Jan. 1. Planned Parenthood Mid and South Michigan received a "Preventive Health and Health Services Block Grant" worth $218,000, and $779,501 for "Maternal and Child Health Services." Several grants went toward the Personal Responsibility Education Program competitive grants, a program created under Obamacare designed to reduce teen pregnancy, including $195,210 to Planned Parenthood Minnesota, North Dakota, and South Dakota. HHS did not respond to questions before press time about whether they will start an investigation into the video, or whether Planned Parenthood’s taxpayer funding is in jeopardy.